Breakthrough to Creativity: free online interview series on creative entrepreneurship. 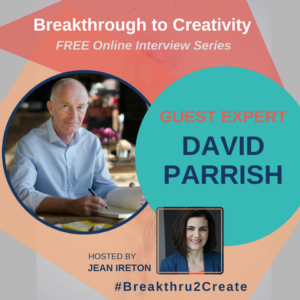 I’m pleased to be a part of the #Breakthru2Create online video series hosted by @JeanIreton. Breakthrough to Creativity is a FREE online interview series for creative people who want to turn their creativity into income streams. Sign up for the free show. Watch for my interview to hit your email inbox starting 19 August.